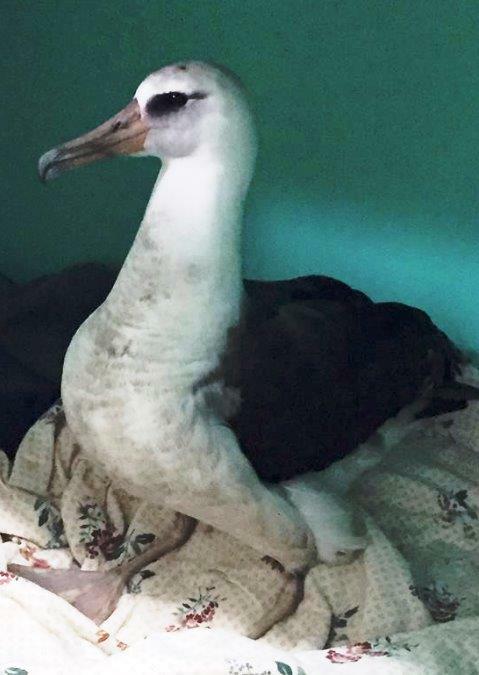 Update: the albatross is finishing up rehab in California and hopefully will be heading home soon! I n April a freeloading albatross hitched a ride on an Aloha Marine Lines voyage from Honolulu to Seattle. However, it nearly traded its life for what it saved in physical exertion. Operations Manager Mark Sheehan first saw the bird when the night crew pointed it out to him after a two-week voyage across the Pacific Ocean. The bird was severely dehydrated and emaciated. Even in its weakened state, it wasn’t too keen on being assisted by a human, so when Sheehan tried to pick the bird up, it bolted. Mark called the Seattle Aquarium and Veterinarian Lesanna Lahner who brought the female bird to the Sarvey Wildlife Care Center in Arlington where it was treated with antibiotics for pneumonia. It’s likely that the albatross took a break on the barge when it departed Honolulu, then couldn’t get into a spot with enough wind necessary for it to take flight. So it settled in between a couple of containers for the grueling journey. 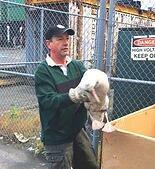 The albatross has been well cared for at Sarvey and is now ready to return home to Hawaii. Sarvey Wildlife Director Suzanne West is searching for a Coast Guard or commercial flight to get the albatross back to Hawaii for mating season. 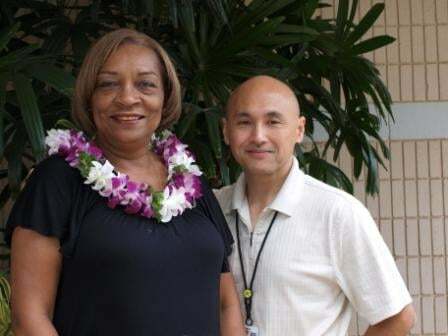 The Lynden family of companies is pleased to welcome Northland Services, a marine transportation company providing shipping between Seattle, Alaska and Hawaii. "Northland is a dynamic company with talented people and a great reputation," says Lynden President and CEO Jon Burdick. "Its barge capabilities to Hawaii and Western Alaska complement Lynden's current service offerings and allow us to provide expanded services to our customers. We can now offer integrated service to more Alaska destinations, with more frequency and greater combined capabilities." 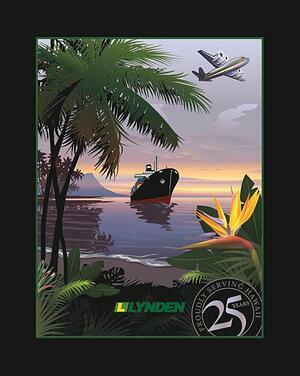 Northland's barge service from the Pacific Northwest to Hawaii enhances Lynden's current ship and air services to the islands. The addition of Northland's Western Alaska barge services enables Lynden to service ports throughout the State of Alaska. Both companies share a commitment to keep customers' freight moving smoothly and efficiently through the transition process. "Lynden provides an ideal situation to better serve our customers, our employees and the communities where we operate," explains Larry Stauffer, President and CEO of Northland. "We have seen significant growth in our business over the past decade, and bringing two great companies and teams together will help improve and expand service in the communities we serve." "We are excited about the new opportunities that will emerge from the combination of Lynden and Northland," explains Executive Vice President and COO Alex McKallor. The Lynden family of companies includes Lynden Transport, LTI, Inc., Milky Way, Alaska West Express, Alaska Marine Lines, Lynden Air Cargo, Brown Line, LLC, Lynden International and others. 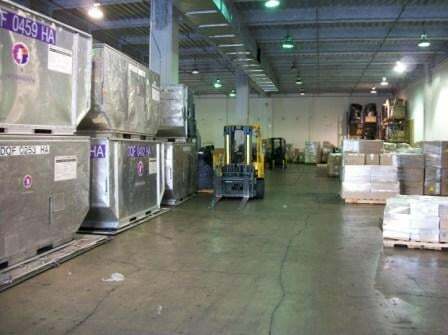 Its combined capabilities include: truckload and less-than-truckload freight to Alaska, scheduled and charter barges, rail barges, intermodal bulk chemical hauls, scheduled and chartered air freighters, domestic and international shipping via air and ocean forwarding, customs brokerage, trade show shipping, remote site construction, sanitary bulk commodities hauling, and multi-modal logistics. Lynden companies are repeat winners in the annual Quest for Quality customer service awards presented by Logistics Management magazine. 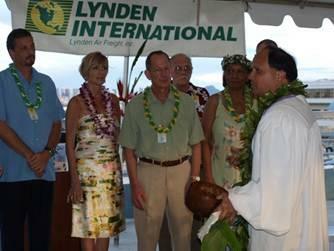 Earlier this year, Lynden International helped bring a special piece of art honoring men and women killed in the wars in Iraq and Afghanistan to Honolulu. 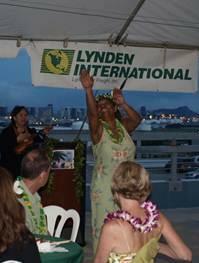 The Lost Heroes Art Quilt is traveling the United States and made a stop in Honolulu in July. The quilt pays homage to fallen American soldiers killed in Iraq and Afghanistan since Sept. 11, 2001. Created by artist Julie Chaleff Feingold, the quilt consists of squares honoring a fallen soldier from each of the 50 states who represents all of the soldiers who have lost their lives. In all, 82 military members are represented on the quilt with childhood photos and dates of service. 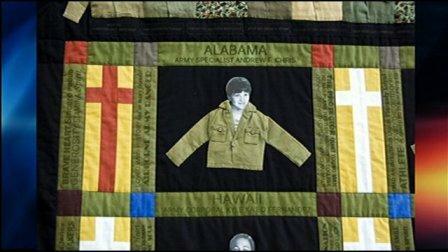 Army Corporal Kyle Ka’eo Fernandez is Hawaii’s soldier honored on the quilt. 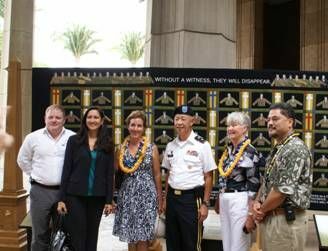 Hawaii’s Lost Heroes were honored and their families recognized at a ceremony held in the state capitol featuring several speakers including the artist and Lt. Governor James Aiona.